As someone who wears a suit and tie to work most days this was bound to happen. You’ll get a stain on a tie. Normally, there are two easy steps. Step 1: Get a tie stain remover, and try it out. Step 2: Get it dry-cleaned at your local dry cleaner. Normally, it’s all sorted and fixed and you get on with your life. However, what happens, if after Steps 1 and 2 you still have a stain? And what if it’s your FAVOURITE tie that you can’t just throw it away? Well this is when you panic and scour your city for the best tie cleaners in the world. I thus began the search for the best tie cleaner in the area, using social media, searching online, and asking around in person. My green tie - can you see the stain now? In New York: I knew the place- I believe it was Tiecrafters, where I had to go down some stairs to see the storefront. You could tell they knew what they were talking about, with hundreds of ties lying around. They even helped modify my tie to make it narrower. But in London, where would I go after my local dry cleaner (who had been selected after a thorough trial and error process) had failed? Luckily I now live in London and didn’t have to search too far. I found one with a royal warrant, (i.e. the Prince of Wales uses them for dry cleaning, so probably know what they are doing) and went to them for a visit. Unlike my local dry cleaner that charges £3-5 for a tie, this one charged £13.75. £13.75! What? But as someone who really liked that tie and couldn’t think of replacing it (not to mention I doubt if I would ever find it again), I promptly paid and hoped a week later it would be ok.
A week later I showed up, and was presented with a newly cleaned tie. Even then lady behind the counter was amazed with the tie--- “Wow this is a really nice tie, and I see a lot of nice ties here”. Yes indeed, which is why I spent a fortune saving my green tie. So where is the place do you ask? Why it’s Jeeves of Belgravia. Check it out. You’ll be glad you did. It's time again to post about one of the great places to get fashion for a discount. In the UK, the talk always goes to Bicester, and its no surprise that this place has grown in size over the last couple of years. Bicester (pronounced BIS-ter) Village is a shopping outlet and hour by train from London. (Think of it as the Woodbury of New York City). It offers all the name brands for men and women, often at 50% off to the normal retail price. Lots of people flock here to to get the high end fashion products at a much lower price. I've been there there a couple of times- and found some very good purchases from Prada, Loro Piana, Zegna, Aquascutum, and Gieves & Hawkes. There are hundreds of stores to shop at in this Village in Bicester. The town of Bicester pretty much is Bicester Village, that serves hordes of people from London, mostly Europe, and more increasing Chinese tourists. That's right- Chinese tourists have now started to take tours to Europe to go shop at these locations. Similar to the Japanese, who could be seen all around Florence shopping for goods because they were so cheap relatively to Japan prices, the Chinese have come to Bicester. Afterall, for bragging rights its nicer to have a Burberry coat that was bought in U.K, than in China, or so they say. While I was not concerned about these "other shoppers", but you really can't miss them at Bicester, that now the town has started to put Chinese signs so shoppers from China can easily find the place! Can't miss this tourists from China. Great that they are supporting the UK Economy! I got a fantastic cashmere sweater here (only 30% off instead of 50% because LP is so premium) but still worth its weight in gold- kept me super warm all winter. The stock of clothing is not too great as it leaves as soon as new things come in for LP. Tips: Thursdays is the day to go, because that's when many of the stores get new inventory. Weekends will always be crowded, and the nicer the weather, probably the more people will actually show up. So you need to think about whether you want more people to compete with for shopping or the rainy weather. Ideally both (less people, and a day with great weather) on a weekday for maximum comfort, which is what I did. As a note, any place that has outlet shopping is generally for those who 1) know exactly what they want for a lower price, and 2) People with an open mind. (It is worth noting that if you do live in London, you can probably get similar prices when things are on sale.) It is not a place for someone getting his first suit, or someone who really does not have that much fashion sense. I'm (possibly incorrectly) assuming all women have some sort of fashion sense, and this is really referring to the gentlemen. The first time my I went I wanted one thing- an amazing topcoat I could wear with a suit, and also any event in general. After hunting at the stores, I saw a couple of good ones but some were just too hip (D&G,Versace), and some just plain boring. A final late minute stroll at Prada (avoided it earlier because the lines were too long- just like LV!) actually yielded great results- they just had a small selection left of top coats and there were two that fit me- one black and one blue. Fantastic! After some deliberation I chose the black one- and it turns out to be one of the best investments I've ever made. A great buy at Bicester Village! The second time I went to Bicester was just wanted to see what else he could add to his collection. Kept an open mind to see what was nice. Ended up buying a bow tie and cummerbund, as well as a regular necktie from Zegna. An amazing fantastic deal, but it gets even better. I then went to Aquascutum to look for trench coats. There were a lot of selection, but nothing in the type I wanted. (As a side note Burberry has a fantastic selection, but I did not want a Burberry classic khaki coat as I thought everyone has a Burberry and I already had a cheaper J.Crew.) He then asked if there was anything in his size, and there was one coat left. There was this amazing trench coat in black left in my size, and it went for £165 regularly, but because of the sale it went for half price! For £82.5, getting a trench coat like that is probably one of the best deals I've ever seen. Weeks later I saw pretty much exactly the same thing at the store in London, for a much much higher price. Really was a great deal! So how do you get there? You can take the train or the bus. I recommend the train if you live close to the station because its faster and runs on time. The buses could have traffic, so you never know, but they are more frequent. Best time to go is on weekday when its sunny and warm. You may not be able to choose your day of good weather, so just go on Thursday if you can. Rather than try to go to all the stores, make a note of the stores you want to go to when you get there after picking up a brochure. Check the ones you want, and stay the course. Otherwise you'll just spend too much time looking for things that don't really interest you. Set a limit on how much to spend. I know its tempting to not, but have a rough idea. Saying £300 is good though it might be difficult if you find a great deal, so maybe a range of of £200-400 would give you a bit more leeway- though it depends on the person. Always go with someone else if you can- especially if you don't have any fashion sense. Preferably bring a girl- they always seem to have some fashion sense. If not you can ask the sales person, though while they may say A looks better than B, they will obviously try to get you to buy something in that store. How to tell instantly whether a luxury watch is fake? Which one is real and fake? Interesting story-I was once approached by a guy saying that he was selling luxury cars (Bentley) and his “Arab” buyer was so wealthy he didn’t care about the watches. He then showed me a fake business card (or it could have been real, just not his) that he worked there, and had a whole elaborate story of how he needed to sell them right away, otherwise he’d have to bring it back to his boss. But alas I could not. Thinking about it days later I discovered what really couldn’t be faked: The glass! So people will tell you that you can see by the movement. This is very hard. Yes battery powered watches will have the second hand that tick, tick, tick, and this is a dead giveaway for any luxury watch (though some luxury ones do use battery!). But what if they use a good Japanese movement? These replicate swiss watches quite well, with the sweeping hand moving in one fine motion- the Grade A watches will use these. Strap? That’s useless. What about the dial, and the designs? Yes but you have to know the brand really well. But the glass is something that can’t be faked, and this is a dead giveway. Here it is: As you look at the watch, slowly rotate it 45 degrees so you are looking at it from an angle. Can you still see the time? Great, now keep rotating it a bit more until you can no longer see the time. Did the watch glass fog up? That’s a fake!!! And there you have it, and now time to explain why! Cost. That’s it. A sapphire crystal costs about $225-$275 to replace for a top watch like a Rolex at an independent dealer. So while that costs includes labor, but really there’s no way to sell you a fake watch for $200 on an excuse if it costs $200 just for the real glass. This is why I believe they won’t be changing it for awhile. To check, really you can try to scratch it, to make sure its not plastic. And looking at the angle, you’ll be able to know! If in the UK, and you see some funny person in a car trying to sell you watches, copy down his license and report him to the police. Fraud line: 0300-123-2040. As you can now see the left (real) you can still see the time, while the right is totally fogged up! New York City- best places to go! So food recommendations- some places are just very “New York.” Obviously lots of fine dining, but really to experience NYC here are some good places. Second Avenue Deli is one of them- it even has its own Wikipedia page. You need to try the corn beef and Pastrami- think it goes for $15 USD or something. It was pretty dry by it self- but the trick is to ask for the sauce to put on it- I get the Russian Dressing and it becomes fabulous. They also give you dill pickes- (the sour and half sour version- go for the half sour), which I like very much. These are called “speakeasy” places- nice places to have drinks. Only get the $15 drinks on the first page- the best. Oh and bring cash. In fact it’s a good idea to always bring cash and not credit card. Sakagura is another amazing place-A bit closer on 40s between 1st and 2nd?- if not then maybe worth a visit. Pricey though (they also serve food), so I’d recommend Angel’s share first. You can also eat in the restaurant that houses Angel’s share, since AS is inside a door of a restaurant. There another million choices around NYC for good food. Zagat can give you a list, as can the Michelin guide- tons of those. Let me know what kind of food and we can discuss. NYC has good food. Serendipity is there for desserts if you want to go just to say you’ve been there- though long lines- usually you go and take your name then come back in an hour (go somewhere else to eat first). Bon Chon. You must try Bon Chon and the Chicken Wings in Korean Town. Get the spicy or not, probably a mix of drumsticks and regular. Start with 10 sticks and go from there. I'd eat there (you MUST go early, that place fills up Very quickly). There are other stores now but the in Korea town is the best! Most people get around—walking! However usually subway is the next best thing. It’s very hard to master but at the end you should be ok. Just get a metro card (don’t throw it away) either for the week or pay as you go, the latter probably the better choice, though it depends on the person. Cabs are good for tourists- you only round to the nearest dollar. So if its $4.22 you say 5. If its 10 or more sometimes you give a bit more. Much cheaper than London. Forget the Empire State- unless you really want to do that. For a good view (on a good day), go to the “top of the rock” That’s the Rockefeller Center, you go up, pay $21 or something, and then you get amazing views of the city. Empire is ok but its more a tourist trap, then again is Rockefeller, but whatever. Rockefeller is also where all the good shopping is- around 5th avenue, just walk up that toward the park. All the nice stores- on 59th st and 5th avenue (or around there) you get the famous ”apple store.” The glass and the store is worth seeing. Look up when you go up and down the elevator. To see the Statue of Liberty you need to call and book in advance online. They sell out VERY early (months in advance), so probably not possible. You can though, just take the Staten Island Ferry, that goes from the bottom of Manhattan to Staten Island. It’s free, and it just goes past the Statue of Liberty, and then you sit in the terminal and take the next one back. You can book specific boat trips to the tower as well. As mentioned 5th avenue has all the expensive designer things. There are also a lot of funky stores around NYC, down by the soho area, (that’s on broadway, below Prince street. Start around there and walk downwards on broadway for a lot of cool stores). There are others but probably not worth mentioning since its hit or miss. For discount clothing I do like Century 21- not the real estate company, but the store. http://www.c21stores.com/ Terrible lines (queues), lots of shoving, and just an uncomfortable place- do not go weekends, and go early on weekdays. Wear comfortable shoes and don’t bring anything nice with you. Absolute tourist trap. But by far the best store to get nice things on the cheap. Zegna sunglasses for $280 USD? Yours for $50. Socks that go for $30 go for $5 here. Key is to get “value” items here like cashmere gloves maybe bags, and scarves, sunglasses and things you can wear forever. It’s AMAZING value, but only if you’re a good shopper who knows what they want and is willing to push and shove. There is one right by the World Trade Center- so make sure you plan to see that while you’re there. Brooks Brothers clothing is made in China, and cheaper in the USA than it is in China. Don't ask me why, but a lot of things are cheaper in America. Even if its made in China! You’ll probably want to plan a trip where you spend one day in midtown- one day in downtown WTC, statue of liberty, etc. Bosideng London - Quality worth having? I hadn’t heard of this brand until I came to…. London. It’s not from London, but actually a Chinese brand that is famous for selling down jackets. In China its considered a low-mid range brand, somewhere above Gap/H&M/Zara but below Banana Republic/ J. Crew. Bosideng London@ 28 South Molton St. The owner decided to move upmarket, and thus spend 35 million to buy and renovate a pub in the central London into a beautiful store. 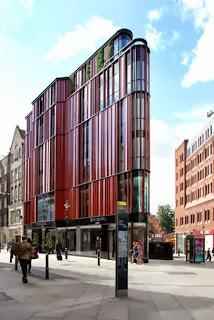 With its flat iron shape (similar to the flat iron in New York), with red panels along the side, it really is quite amazing architecture, and done quite well. I noticed it all the time when I passed by, but really didn’t know what it was. Then the reviews came. GQ mentioned this brand had hired a couple of UK hot shot designers to and create a new line for the UK. This would not be similar to the ones sold in China, but a much more upscale type- think Prada but without the price tag. And you know what? Surprisingly they have succeeded. The traditional British overcoats made of tweed are finely woven, and the jackets look quite amazing. 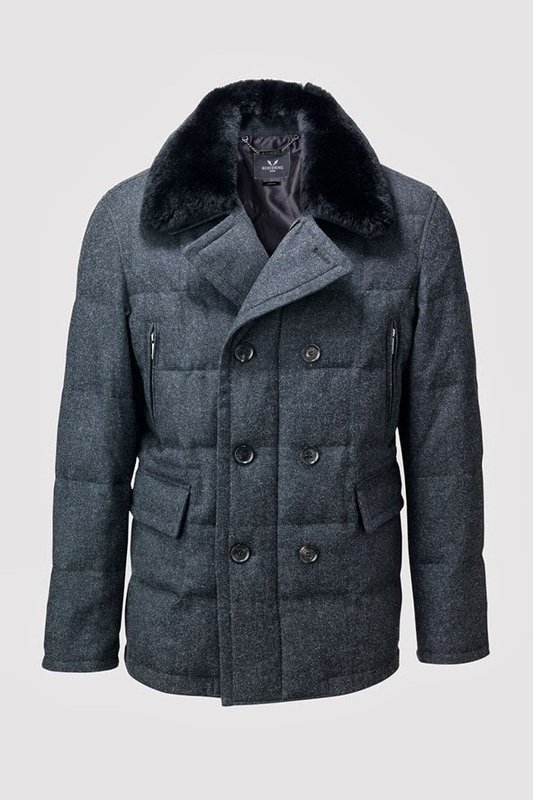 The main centerpiece highlighted by GQ though, was this down jacket with rabbit fur trim Made with down and an outer shell with buttons that looked like a military coat, it could be worn casually or with a suit, providing the ultimate flexibility, all going for 300-350 GBP. So I went to the store thinking that I would only take a look. Turns out I quite liked it- the style was good, and with down it was very light. It also happened to be the ONLY one left in my size (they had done a run of 50 for each size), so I promptly took it, thinking that if I ever needed to return it I would have 14 days to do so for store credit. But I never did. After a season I can say the coat was warm, and it was extremely flexible and looks great with a suit. I actually got a lot of compliments from people and who wondered where to buy it. They had not heard of the brand either, but the cut and details were what they notice as it is really more like a coat that cost 2-3 times more. Some may say it’s a Chinese brand, but you are forgetting that British designers created the collection, and no expense was spared in creating this quality item. 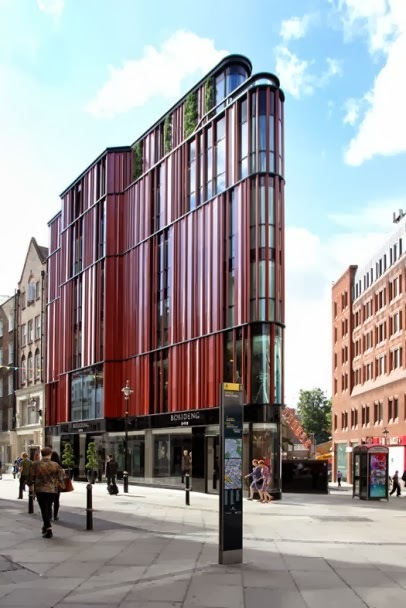 I don’t know if the quality will continue- I think the point was to build the brand, or perhaps provide a higher end version for Chinese customers who visit the UK, but certainly I’ve been pleasantly surprised by Bosideng London. I use to travel with the Seinheisser PXC 450, which was an excellent travel headset. They were big, comfortable, and felt like you were wearing nothing at all. The noise cancelling system worked great, and it had a talk-through button you could press so you could hear that outside world without taking the headset off at all (great for ordering food). The plug could convert to a 8mm from a 3.5 to fit a stereo, and the case had room for 2 batteries, each lasting 12 hours. If both batteries died you could still listen to music passively (unlike Bose). In short, they were quite amazing. Imagine my annoyance when they went missing. I probably left it somewhere or it was taken, though I’d like to believe that my sibling took it back home to another country. They were very nice, and I thought about getting the same one- afterall, it was still for sale. Seinheisser has released “improved versions”, but the MX new ones with the talk through function are great, but they look like a space age headset. It’s not really something I’d want to be seen in, as it didn’t look professional enough. The PXC450 was perfect in this regard. However, the price of those had not gone down. What to do? They are just as expensive. 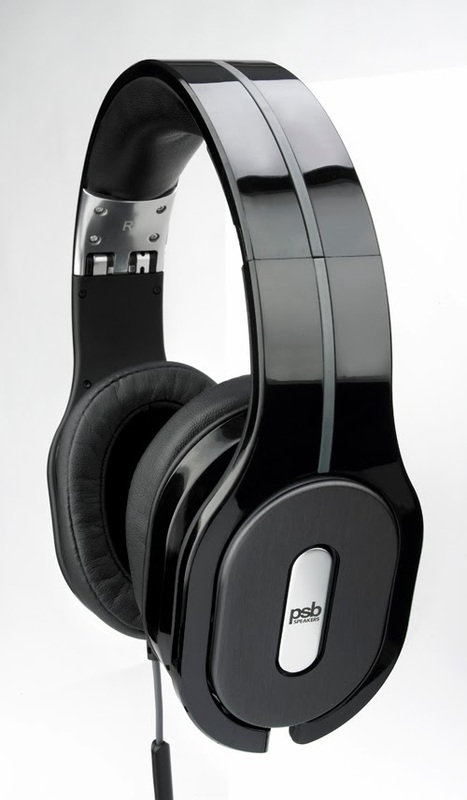 Searching the internet, I found that one of the best noise cancelling headphones were from PSB, a Canadian company I had never heard of. Hmmm.. how good could they be? The reviews were stellar, and the sound was suppose to be amazing. Given that I needed a new headset, I figured I might as well try a new one. The talk -through function was there, and the best part was the microphone as well, so I could plug it in my computer on go on conference calls if I needed (the PXC does not have this). Thought that was an added bonus that put me over the edge. Finding this headphone at a good price was tough. Couldn’t find London for a decent price, but was travelling in the USA, and found it in the music store in San Francisco. The sound of the PSB M2U is amazing. My old MP3s sound richer, more amazing than every before. Parts I didn’t know existed were now easily heard. It really was sound paradise. The speaker system (talk through) worked fine (though a bit confusing to use at first), and the speaker worked great for conference calls. I didn’t like how it folded- the case was a bit too spherical for my liking (harder to put in a bag or suitcase- I liked the Seinheisser case because it was flat), but it came with extra ear muffs so I couldn’t complain (more value!). Also the plug goes in both sides of the headset, so you can choose which side is more comfortable. Design wise they really did give this device much thought. The only thing that annoys me to no end is there is no volume control. Yes the Seinheisser had this, so I could control it no problem. “Who cares?” you might ask. Well I do- see the problem was that while normally I can control the volume on the device, on my British Airways flight back I wanted to watch a movie. I plugged it in, but realized that the volume was too loud. I then tried to lower the volume on the BA TV screen, and it went lower…. to the last bar. Anything lower than that would render it mute, and I couldn’t hear a thing. So I had the choice of hurting my ears to no end, or not hearing anything at all. In the end I gave up and used the BA headset that allowed me to adjust the volume so I could watch the movie without killing my eardrums. In the end I have been quite happy with it, and would probably get it again given there are no good competitors at this price range. I have searched high and low for a remote control that plugs in to adjust the volume (I’ve tried a belkin, some others, to no avail), and I wish PSB would release one. For some reason its special and only certain plugs let the sound through, otherwise its just mute, I don’t know why. But other than that, it is an excellent travel companion, and great for blocking out noise with or without music. They are comfortable, and you don’t really want to take them off. Did I mention the bag has a caribiner on it? You can hang the headset up (not sure where, but hey maybe to your bag!) So all that’s missing is the volume control, and then this device would be perfect.